Swiftlet Technology is nothing without our customers and partners. Please take a minute to look over the variety of customers we serve. About the company: Persuadable Research Corporation provides Fortune 500 Companies and global marketing service providers with online surveys, online focus groups and much more. Services Provided: Swiftlet established the relationship beginning with a server location project which has since transitioned into a part-time systems administration position including on-call support for the entire organization. Read a testimonial from Persuadable Research Corp here! Services Provided: Swiftlet has assisted in the entire product development scope, both electronic hardware and embedded software. About the company: FortrezZ LLC, is a design & engineering company serving the home and office industry with wireless automation and security products. Services Provided: Swiftlet is responsible for software development in home automation systems. About the company: SPARKfiber is an Internet Service Provider in Flint, Mi providing ludicrously fast internet speeds to Flint residents and small businesses. We are seeking to give our neighbors fast and reliable fiber internet that strengthens our community one fiber at a time. About the company: We serve as a leader and catalyst to expand and enhance quality housing and community development initiatives for underserved people and communities. We develop partnerships in Flint and Genesee County, including providing financial support, leading to the creation of stable and vibrant neighborhoods and communities. About the company: Drum Triggers done easy. Simple. Reliable. Flexible. Read about a recent project we completed for Drem Trigger here! About the company: Lighting is the subtle, yet essential feature of the workplace. For 30 years, we’ve put all of our energy into understanding how it empowers a person’s work, influences their mood, and helps them focus. We love the beauty of it, the science behind it, and its impact on everyday life. It is this passion that defines everything we do and drives us to create vibrant, colorful, and imaginative solutions that brighten the world where we live and work. About the company: O’Mara Sprung Floors is proud to offer high-quality sprung floors manufactured in Flint, Michigan, by a small team of dedicated individuals. We use locally sourced materials and sustainably harvested trees to make our floors. 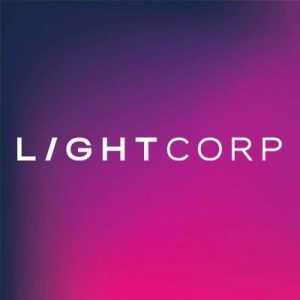 About the company: True Light Systems’ Express Photo Kiosk allows our customers to instantly download photos from their smartphone, add effects or crop, and print those photos. The entire process takes under 3 minutes from start to finish! About the company: Tom Sumner’s three-hour radio show features a quirky blend of humor, music, public affairs interviews and more with a cavalcade of cohorts from coast to coast. Tom and Co-host/Associate Producer Andrea Sutton treat celebrities like friends and friends like celebrities.